on 22 February 2019 . Hellen has been awarded this month’s Caring Hero award for her excellent commitment to quality management when it comes to the busy laundry duties at Riversway Nursing Home. Hellen ensures that all our resident’s garments are washed, dried and ironed with care so that they have clean clothes in a timely manner. With standards to set and targets to meet to enable the care home’s laundry department to run efficiently, Hellen ensures that the process runs smoothly throughout the home at all times. She was nominated by Sarah, the floor manager and fellow carers for her kindness and enthusiasm when showing work experience students how it’s done. Sarah said: “Hellen showed that when put under a lot of pressure in certain situations she always goes above and beyond to help residents and she ensures a level of quality excellence. “Sometimes it may seem that the laundry team are forgotten and Hellen was really surprised about her nomination, but we all agree that every single member of staff is essential in delivering quality care at Riversway and Hellen deserves this award. on 21 February 2019 . We made some chocolate chip cookies recently and it was a lovely baking treat. 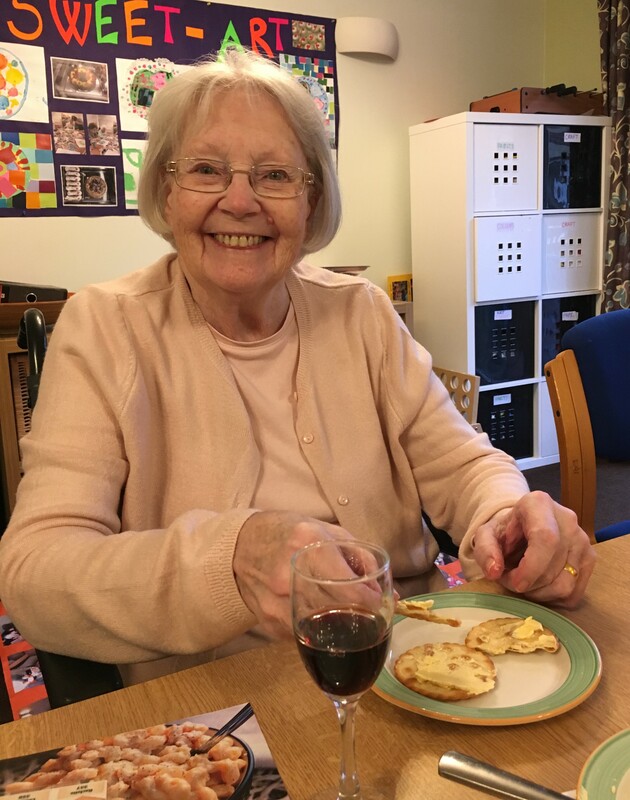 Our residents loved mixing the ingredients and making the cookie dough, they thoroughly enjoyed making sure that there was enough to go around. 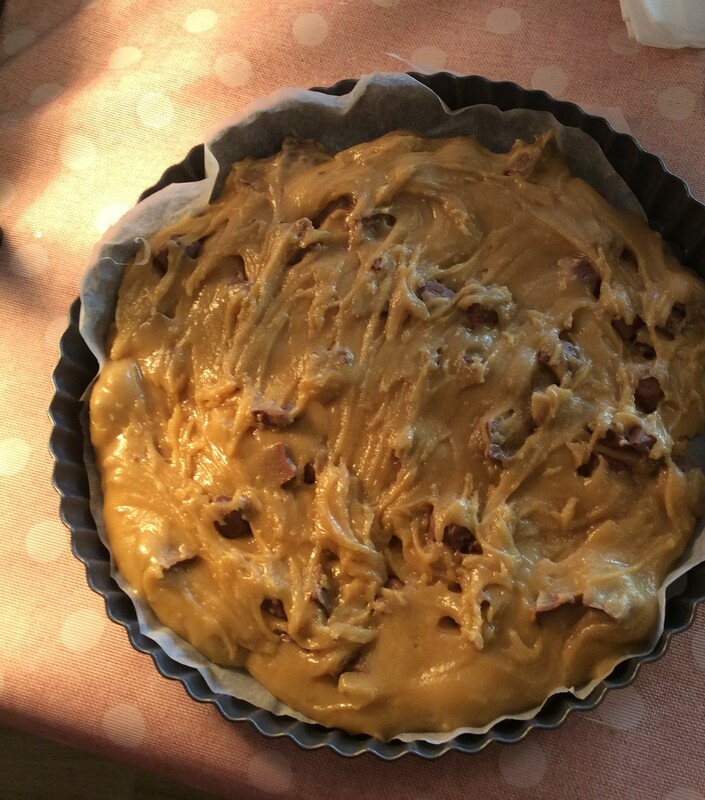 Pam mixed up the dough while Brenda added the chocolate stars, great team work! The finished cookies were huge, so once shared out everyone agreed they tasted fantastic. on 19 February 2019 . 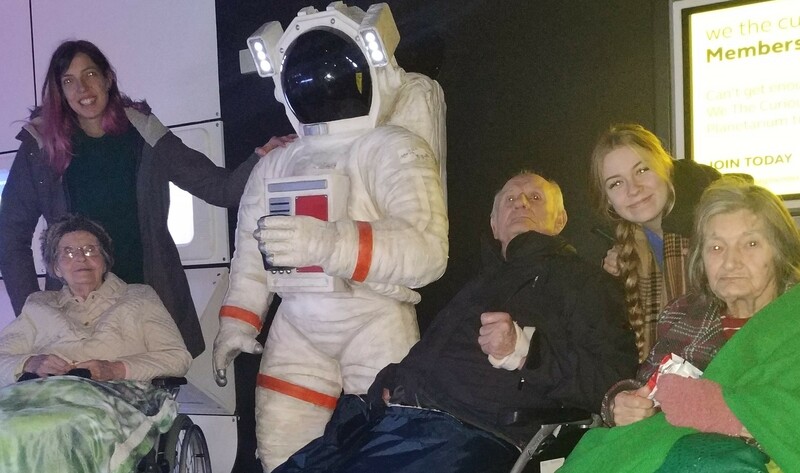 A wonderful day was had by all our residents and Lifestyle team when we recently visited Bristol’s We The Curious. On the We The Curious website it reads ‘Our venue on Bristol’s harbourside is a bit like an indoor festival, with all sorts of different experiences, where you can interact with exhibits and take part in experiments. It’s where boundaries are removed between science, art, people and ideas’ – So after reading this we knew that we just had to visit! And we were right, our ladies and gentlemen, and staff team had a wonderful day exploring the hands on exhibits and science shows where you are encouraged to be part of everything, to be curious, to look at things, peer closer, touch the exhibits, ask questions and the best bit – be playful! We even squeezed in time to enjoy an amazing 3D show in the Planetarium, it was fantastic! Before it started we just couldn’t resist taking photos of each other wearing the 3D glasses. Everyone thoroughly enjoyed themselves and we’re guessing that the next time we ask where do you want to go next, We The Curious will be top of the list! on 18 February 2019 . Ashleigh has been nominated for the caring hero award as she continuously puts people and their individual needs first. Ashleigh (also known as Ash by her colleagues) joined Riversway Nursing Home’s activities team in December 2018 and was nominated for the award by Elizabeth and fellow carers at the beginning of February. It was stated that Ash stands out on all occasions by openly showing just how naturally caring she is and that her sense of commitment shines through every day. Ash always goes above and beyond to help residents, families and her colleagues with her positive attitude and infectious smile. Ash is always the first in line to give a hand and she’s also contributed some great new ideas for our activities team to try out. Ash always tries to encourage even the least enthusiastic residents to be more active and to use their existing skills to enable a better quality of life. This natural behaviour incorporates our company values, supporting people to achieve their aspirations, putting people and their individual needs first and actively listening and responding to the people we support - no matter what, with a caring compassionate attitude. Well done and congratulations Asheigh, you are a great asset to our team. on 03 February 2019 . Last week we had a lovely cheese and wine themed evening at Riversway. Everyone thoroughly enjoyed themselves as we listened to music, whilst eating and chatting about all the different types of cheese we liked and have tried over the years. We discussed how cheese is made and we also played a ‘guess the cheese game’. Our ladies and gentlemen had a try of the blue stilton cheese, the mature cheddar cheese and a soft cheese, accompanied by two types of crackers, one salted and one with salt & black pepper - all topped off with green and red grapes, a little bit of pickle and a glass (or two) of wine. The evening went down a treat and we are all looking forward to holding another cheese and wine event again very soon!